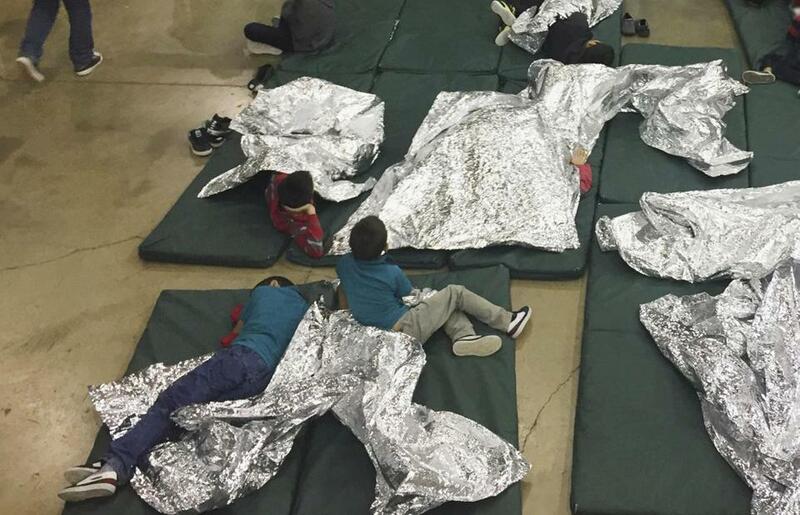 Ina photo from June 2018, people who’d been taken into custody related to cases of illegal entry into the United States rested in one of the cages at a facility in McAllen, Texas. Lord, it is all so exhausting. For two eternal years, an army of citizens have been trying to hold back the worst of the Trump administration’s wanton cruelty towards immigrants and many others. Judges — on benches the GOP has not yet stacked — have rejected some of the most heartless and un-American of Trump’s ambitions when it comes to those seeking refuge here. And now it’s going to get worse. Trump, egged on by adviser and white nationalist Stephen Miller, has decided that mere laws shall not stand in the way of his inhumane objectives, and is purging Homeland Security officials who might suggest otherwise. Even Kirstjen Nielsen isn’t heartless enough for his tastes. Sure, the DHS secretary willingly implemented policies that separated families at the border, put kids in cages, lost track of some of them, then appears to have lied about it. But she reportedly balked when Trump and Miller suggested she take steps, clearly forbidden by the laws of humans and nature, to shut down border crossings, resume separations, and choke off asylum claims. So now Nielsen and others are out. Which can only mean those suffering from Trump fatigue are about to experience an extreme new form of the malady, as an even more unfettered president goes yet lower, further normalizing the once-unthinkable. Two people who were protesting the controversial Bristol County sheriff’s arrangements with federal immigration authorities were arrested at the sheriff’s office in Dartmouth Wednesday evening, an official said. And boy are most of us tired. The energy and enthusiasm of those giant marches and protests at the start of the Trump era have given way to quiet desperation and sanity-preserving, self-imposed news blackouts. Despite the lawlessness and incompetence of his administration, not to mention economic policies that actually harm his voters, 40-something percent of Americans are sticking with Trump, according to polls. He could well be reelected. Outrage is a hard thing to sustain over the long term, especially when there is so much to be angry about. But it is a vital emotion, say those on the front lines. Normalizing brutality made possible some of the darkest chapters in this nation’s history, like the rejection of Jewish refugees seeking protection before World War Two, and the internment of Japanese-Americans during that conflict, Sellstrom said. Right now, attorneys like him are carrying the load for the rest of us, fighting in the courts to prevent repeats of those shameful historical episodes. The Lawyers’ Committee has reunited about a dozen families separated by immigration authorities, and sought ongoing counseling for those undone by the separation crisis, whose trauma lasts long after the media move on from their cases. “The judiciary has held the line and stopped the worst of the abuses,” he said. And, if Trump and Miller go through with policies that further test the law, they’ll have to keep holding it. Which means already overtaxed public interest attorneys will have to labor even harder. “We don’t have time for despair; we have all this work to do,” said Carol Rose, head of the American Civil Liberties Union of Massachusetts, which has brought over a dozen legal actions to protect immigrant rights. Nationally, the ACLU has brought more than 200 actions against the Trump administration, including 85 lawsuits to protect the rights of immigrants, and reunited about 2,800 families. The good news is Trump fatigue hasn’t diminished support for the ACLU, the Lawyers Committee, and other advocates. “We anticipated fatigue, and we budgeted for a drop in donations, but people are staying with us,” Rose said. Membership has grown from 14,000 to 86,000 since Trump was elected, and volunteers number in the thousands. Sellstrom said donations are steady at the Lawyers’ Committee, and private attorneys remain eager to take on pro bono cases for immigrant families. Bless them all. It’s going to be a long, hard slog. Globe columnist Yvonne Abraham can be reached at yvonne.abraham@globe.com and on Twitter @GlobeAbraham.